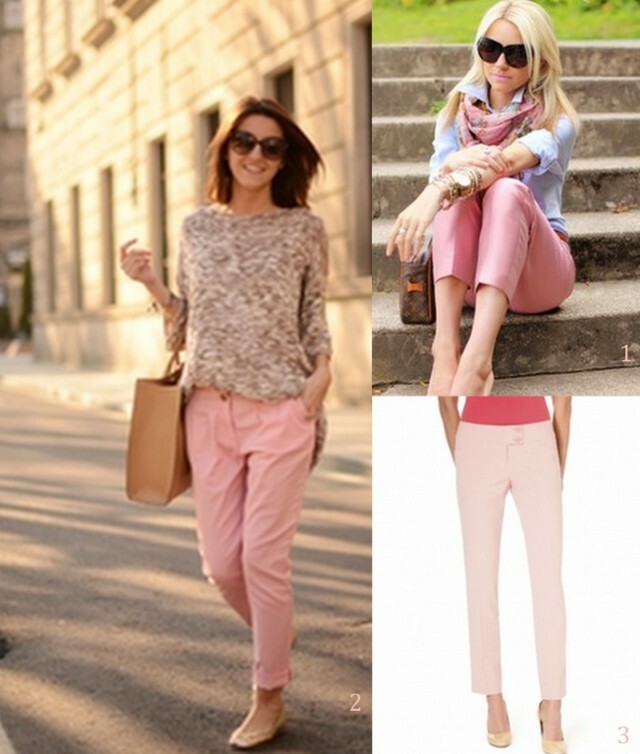 I've been crushing on pale pink pants lately! Like the pretty ones in the above pictures! So, of course I was absolutely thrilled when I found some at the thrift store! 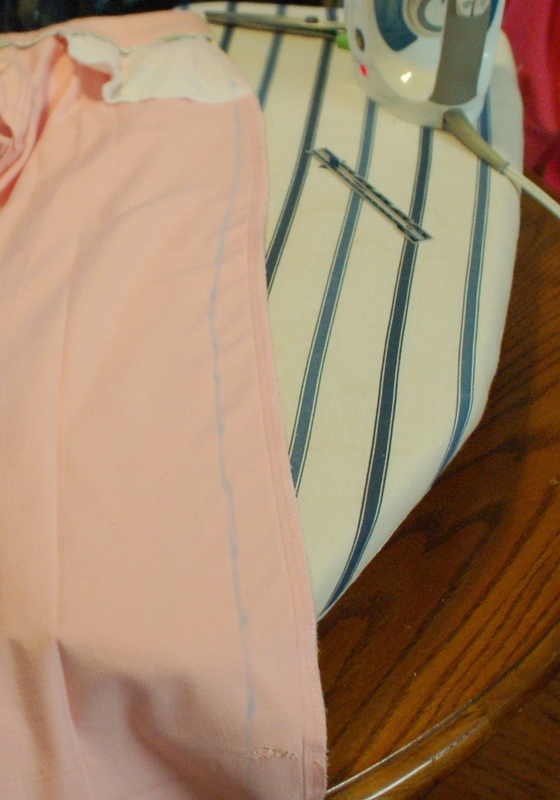 Although...the pants I thrifted just weren't quite right until I did a little altering! 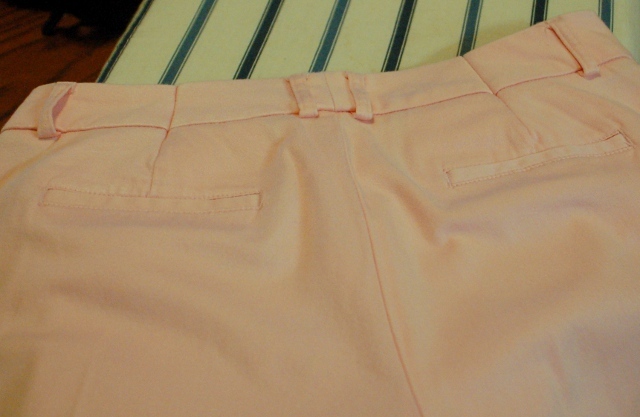 Now I've got a pair of perfect, pink pants! 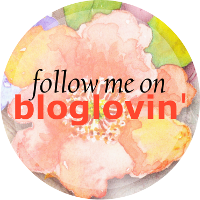 Wanna see how?! While they're not absolutely terrible..the pants were just all around too baggy. But that's not anything that a few darts and side seams can't fix! First I unpicked the pant leg hems because I wanted to lengthen the pants a bit. 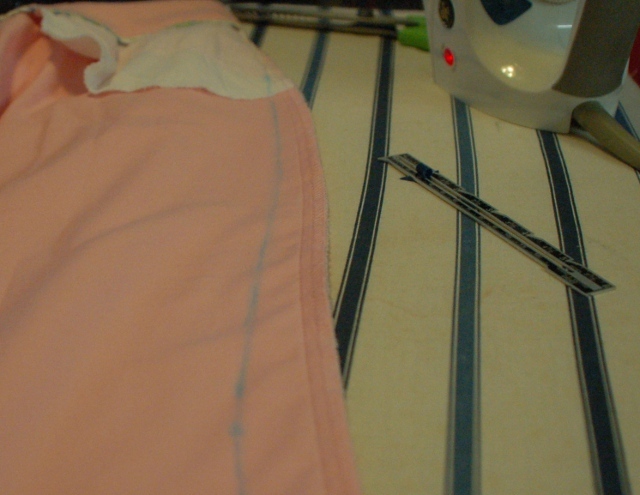 Then I sewed in new hems (this probably should be done after taking in the side seams..but I did it backwards. oops!) 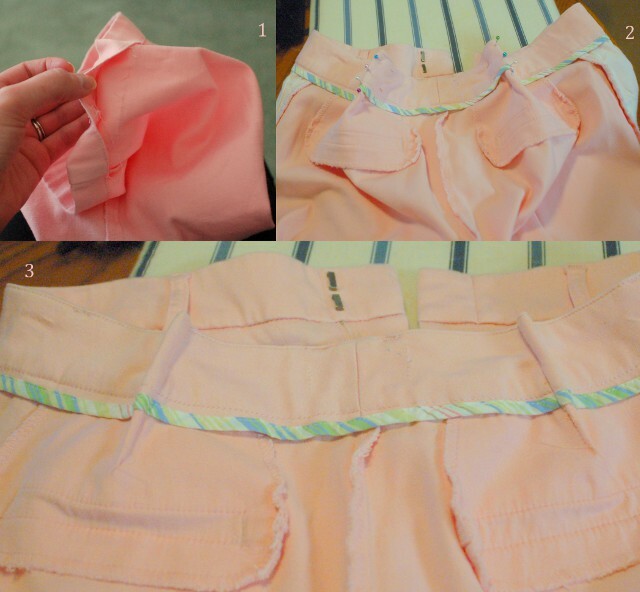 After fixing the hem length, I sewed 2 darts in the back of the pants to nip it in at the waist since the pants were too large. When sewing darts, sew from the edge of the fabric in, tapering towards your dart point, and don't backstitch like normal. Instead, just run your needle off the edge at your dart point, and then tie the threads off by hand. This will make it less likely for a funny pucker to form at the point of your dart. Press darts.